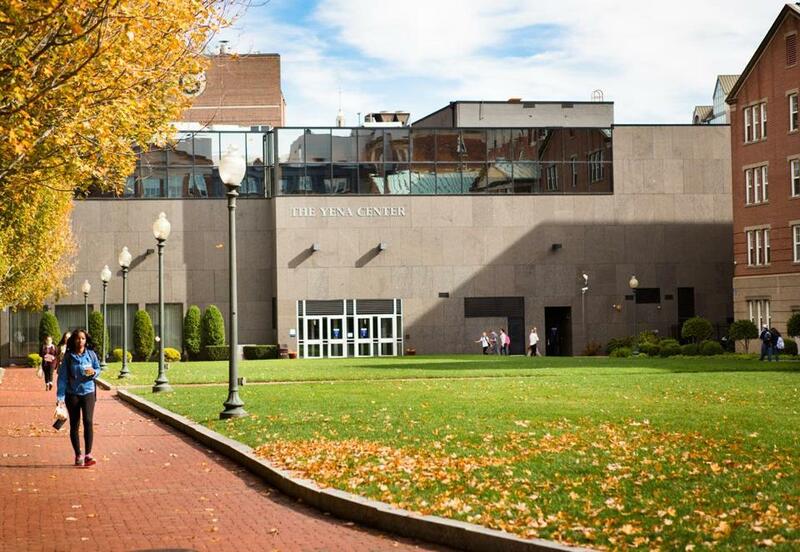 Johnson & Wales University in Providence, R.I., was the most popular out-of-state private college among Massachusetts graduates from the high school class of 2013. So much for fleeing the harsh Northeast winters. When it’s time for college-bound students from Massachusetts to head out on their own, most are staying within a few hours from mom and dad, home-cooked meals, and the laundry machine. Of the 35,752 Massachusetts students in the class of 2013 who attended a four-year school, 22,388 went to a public or private college in Massachusetts, while the remaining 13,364 went out of state. According to data provided by the Massachusetts Department of Elementary and Secondary Education, the most popular destinations were New Hampshire, Rhode Island, New York, Connecticut, Vermont, Maine and Pennsylvania. “The distance is just enough for most kids when they are getting away from home for the first time,’’ said Daniel Egan, president of the Association of Independent Colleges and Universities of Rhode Island. Outside of the Northeast, students tend to go South — Florida, North Carolina, Virginia, Maryland and South Carolina are popular destinations. After that, Ohio, California, and Illinois are top draws. The most popular college outside the East Coast is the University of Michigan. The least popular states are North Dakota, South Dakota, Wyoming, Nevada, Nebraska, Arkansas, Oklahoma, New Mexico and Alaska. Rachel Rubin, co-founder of Spark Admissions in Newton and Brookline, said students tend to apply to schools on the coasts because they are more familiar with those regions. The Midwest, she said, is more of an unknown. Why do so many stay in the Northeast? Rubin said some students love the feel of the region, while others (or their parents) want to be just a few hours away. But Rubin said it also comes down to the number of options — New England is home to more than 250 public, private, two- and four-year campuses, including some of the most prestigious universities. Victoria Dutcher, vice president of enrollment at UNH, said the university recruits more in Massachusetts than any other state because of its proximity and population concentration. With 12,840 undergraduate students, the campus is large enough to provide academic and recreational opportunities for students, but small enough so that students don’t feel lost, she said. The Durham campus has an Amtrak station, making it easy for students to travel to Boston or Portland. Tuition and fees at UNH are $30,256 compared to $39,130 at UVM. Besides UNH, other top-drawing schools in New Hampshire are Southern New Hampshire University, Keene State University, Plymouth State University, St. Anselm College, and Franklin Pierce University. 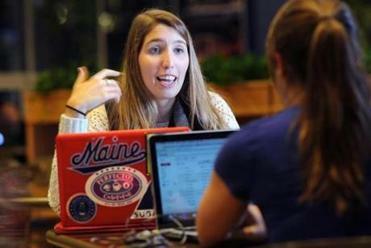 Close behind New Hampshire in attracting Massachusetts students is Rhode Island. In fact, the most popular out-of-state private school was Johnson & Wales University, which is known for its culinary and hospitality programs. “Most of our students, when they choose to come here, have a specific program in mind,’’ said Lisa Pelosi, executive director of communications and media relations at the Providence-based school. She said 19 percent of its students hail from Massachusetts, many of whom commute or live close enough to home to go back on the weekends. Pelosi said students are also drawn to the school for its small class sizes and internship program. Egan said the 11 public and private institutions in Rhode Island offer something for everyone. For example, Rhode Island has an Ivy League school (Brown University), business school (Bryant University), Catholic school (Providence College), international art school (Rhode Island School of Design), liberal arts school (Roger Williams University), and technical school, (New England Institute of Technology). “You have quality schools with long-standing traditions that students look to as an appropriate place for them to spend their college years,’’ Egan said.